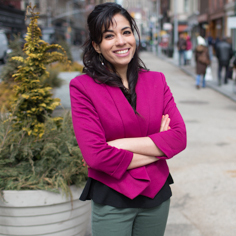 How Can Placemaking Help Create Safer Cities for Women? 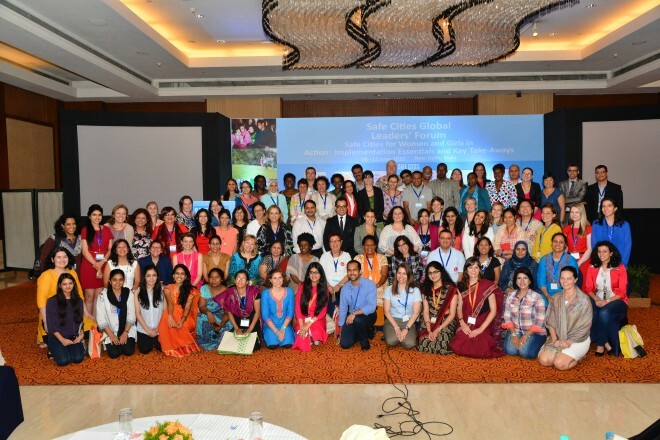 The UN Women Safe Cities Global Leaders’ Forum in June 2015 brought together over 200 professionals from around the globe to share and discuss evidence-based approaches, practices, and tools to help create safe cities for women and girls. The event took place in New Delhi, India, a city in which over 90 percent of women and girls have experienced sexual harassment throughout their lifetimes. The Safe Cities Global Initiative focuses specifically on these major threats to safety. How safe a city is directly related to how safe a city feels. The effect of the built environment on a city's safety and security is a conversation that Cynthia Nikitin engaged with UN Women back in 2011. Moving well beyond issues of regulation and policing, this argument states that safety should be given prime consideration while shaping our cities and towns - right from the start. Time and again we have seen how mega-developments and transportation infrastructure can create walls within cities that divide people and places almost as powerfully as natural barriers like rivers or mountain cliffs. In such cases, the public realm becomes a mere afterthought - a collection of residual spaces and undesirable alleys and nooks that ultimately create an unsafe environment for residents. UN Women, along with several other global advocacy groups, has been supporting numerous NGOs in India that have been leaders in the process of creating community-based guidelines for safer cities. In their reports (see Jagori, Breakthrough, and Akshara, for example), urban planning and design often emerges as a key intervention area. With their concrete advice, evidence, and action items, these reports should be instrumental in creating safer cities. Instead, many of their recommendations fail to make their way into professional practice while the reports gather dust in planning libraries or remain buried on obscure websites. This has created a gap between theory and implementation, and a lack of follow-up research. It is also due in part to the impenetrable policy frameworks in most cities, where the process of adding even the simplest of new policies continues to be an uphill battle. These issues are compounded by traditional, top-down approaches to planning and design. In the absence of a clear understanding of a community’s values, challenges and needs, it is almost impossible to create an active, attractive and safe neighborhood or city. This is where placemaking comes in, and my presentation focused on the huge impact a community-driven process can have on safety. 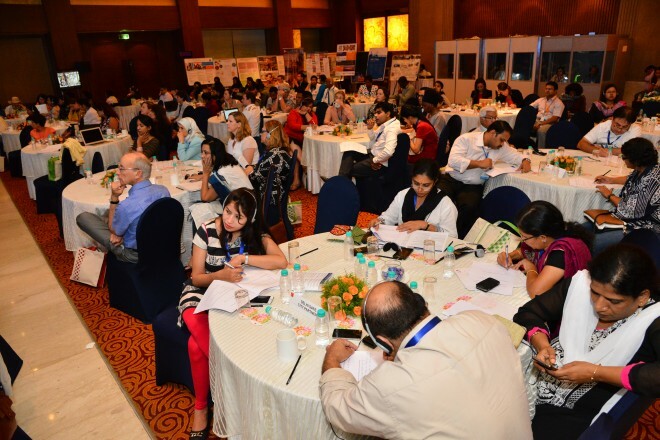 The two-day forum in Delhi was packed with case presentations, success stories, and lessons for better planning and design, based on UN Women’s work in cities throughout the world. Incorporating case studies and PPS resources, these principles also contain recommendations from Jagori’s report on safe and inclusive cities and Akshara’s work with public spaces in Mumbai. The community is the expert: A long standing PPS recommendation is to start any planning process with the community. It is important to get women and girls to the table in order to understand their unique challenges in public spaces. And not just women, but men and boys (see UN Women's He for She campaign). Every place needs a variety of reasons to be there: Public spaces should have a rich variety of uses, programs, and amenities that come to life at different times of the day (and night) and cater to all groups within a community. This is a powerful way of breaking boundaries and reemphasizing the collective ownership of the public realm. And a variety of things to do, especially for children: People tend to skip or cut through spaces they have no reason to be in for an extended period of time. Public spaces need reasons for people to linger, some thing to do for everyone. From a safety perspective, creating interactive and engaging uses for children with ancillary uses for adults is an extremely powerful technique. The story of Burnside Park in Providence, RI, USA is a great example of this technique in action. Places need to be comfortable: There are several factors that play a role in comfort, including adequate lighting, places to sit (alone and in groups), and shelter from inclement weather. However, prospect and refuge remains the most important aspect of safe and inviting spaces. The ability to see around you while having your own space is of great importance, especially if you are with other women or children. Another significant contributor to comfort is the presence of other people; this connects to Jane Jacobs' idea of "eyes on the street." 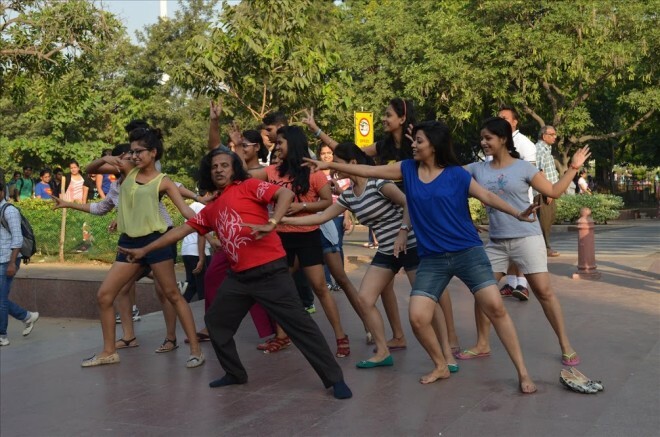 Public space can be a stage: Public spaces set the stage for life and activity in our cities. They should encourage people to use them as a stage for performances, speeches, and other forms of communal gatherings that call for an accessible and neutral ground. Everyone needs amenities and facilities: The places where people linger are the ones that contain key amenities. It is important to keep safety for everyone in mind while deciding what amenities to choose or reject. Access to clean drinking water and accessible restrooms are important for nearly every public space. 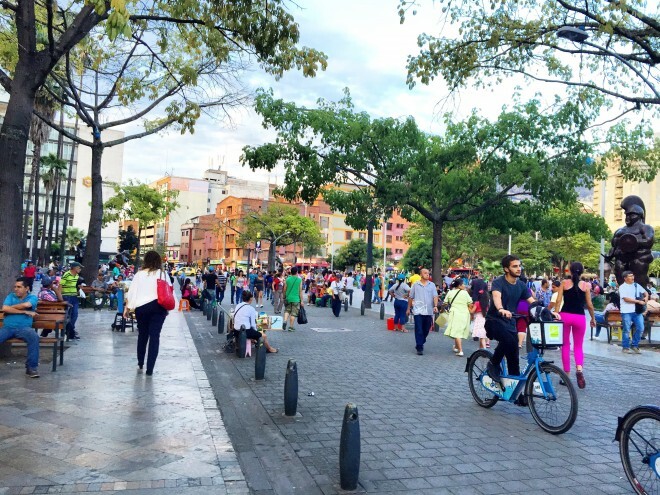 Spaces need to be easy to get to and easy to leave: Women around the world have different preferences for mobility.While thinking about (and designing) parks, plazas, streets and other types of public spaces, we must think of them as a unified whole. A great park is only as safe and inviting as the narrow and dank alley leading up to it. Public spaces should, however, be accessible by all means of transportation, including by foot. Visible, abundant, and readable wayfinding is universally desirable. Clearly marked and lit exits, safe havens integrated into the public realm, and means to establish emergency contact are extremely important. More guidance on several of these topics is available on the UN-Women website. Focus on positive uses, and not the negative ones: Positive activities have the power to push out negative uses. This strategy has been applied in numerous places around the globe, including the previously drug ridden and vastly misused Bryant Park in New York City. Once they have taken root, uses and programs that engage and empower the people of a community can swiftly take over the public realm, eliminating many of its negative uses. Create opportunities to make a living: This strategy enables women to be stakeholders in the public realm by providing them opportunities to base their livelihoods in places. This can be achieved by promoting local arts, makers, and vendors and giving them a platform for retail. When people’s livelihoods are attached to their public spaces, they become the stewards of the space and help clean, maintain, and police it. Ensure programs for families and groups: Special programs that cater to large groups and families enhance safety in the public realm. These programs can also be attached to the shared cultural values and occasions to make them more robust. It is important to keep such programs democratic. Be flexible and diverse: There is no ideal way of designing and programming a space to attract a diverse user base. 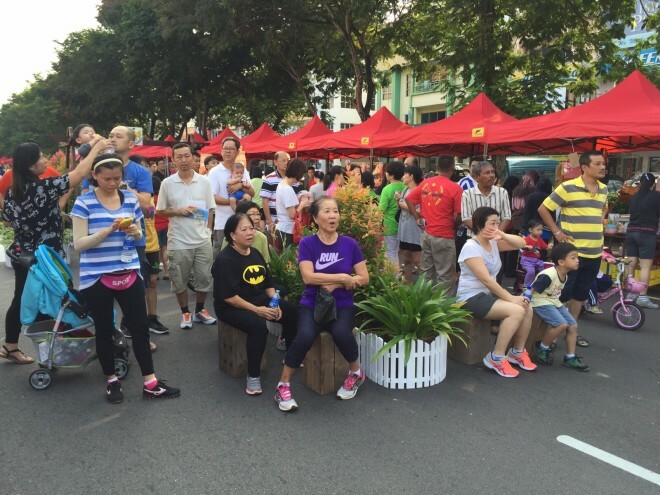 The “best” plan for placemaking is one that results from extensive and continuous community participation and which is flexible enough to accommodate shifting users, preferences, and values over time. Think lighter, quicker, cheaper: Some of the most successful solutions to issues of safety and security in the public realm can be kicked off in a lighter, quicker, cheaper way. Take Safecity’s pin the creeps initiative as an example, which builds on social media platforms to give people an opportunity to report suspicious activity and abuse in their public spaces by pinning an anonymous tip onto the map. Small, community based improvement projects are then selected based on this information, which not only makes the space better but also empowers the community through the process. The arts are a powerful medium for expression, communication, education, transformation, shaping culture ("popular" culture as well as "traditional" culture), for "visualizing the invisible," and for enabling environments for safer cities. Well designed public spaces are important as an opportunity to display the arts, for performances, discussions, for claiming rights, and for making issues "visible" by just being physically present. Both social and traditional media can help convey and spread powerful messages in a short amount of time. See video below, called "Whose Fault Is It," created in Cairo through the UN-Women safe cities program, for an example of how these outlets can and should be used to our advantage. It is important to think outside the box in thinking about how the arts can be integrated into safe cities for women and girls, whether through programming, as a tool for empowerment, as therapy for vulnerable populations, or as a way of showcasing positive outcomes. Arts-based interventions can serve as a catalyst for generating more support by other stakeholders and partners. The progress made by the advocacy world has not been matched by practice in the world of urban planning and design. There is much knowledge and research on what makes a safe city, and groups like UN Women are working day and night to institutionalize better planning. But it is on us, the planners and designers, to create better places from the get-go. The long-held "repair attitude" among designers and practitioners has created too many places in need of fixing. It is time to put the planning back into planning by practicing what we preach, and by putting these tools to use and participating in global movements like "Safe Cities Global Initiative" in order to avoid the mistakes of the past and to create safe and comfortable cities for everyone.